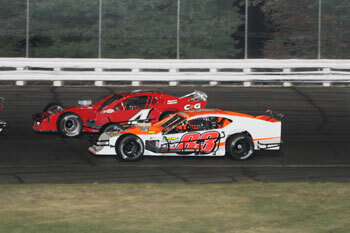 (Stafford Springs, CT)—If past history is anything to go by, then this Friday night’s Valenti Modified Racing Series 80 at Stafford Speedway will most likely be won by a driver who is either a current weekly racer or a former weekly racer. One driver who will be aiming to buck that trend is Grantham, NH native Mike Willis, Jr. The driver of the #83 Spirit of Alaska Wilderness Adventures Chevrolet has quietly made a name for himself when the VMRS visits Stafford. In the 8 VMRS races held at Stafford from 2015-2017, Willis has posted 7 top-10 finishes with two podium efforts among those top-10’s. With a new Troyer chassis at his disposal, Willis is looking forward to hitting the track this Friday for the VMRS 80 and excited about his chances at winning the race. The 2018 season has gotten off to a great start for Willis and the #38 team with top-10 finishes in each of the first three VMRS races of the year. Willis’ on track results have gotten better each race; 10th at Thompson, 6th at Monadnock, and 5th at Waterford. Willis will be looking to continue his upward trend this Friday night at Stafford. Willis is still in search of his first career VMRS win and he says that a win at Stafford would be huge for both himself and his team. But in order to park his #83 machine in NAPA Victory Lane, he knows he will have to contend with the likes of Keith Rocco, Woody Pitkat, Rowan Pennink, and Anthony Nocella. 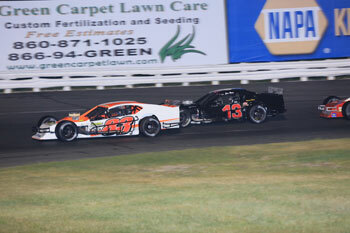 The Valenti Modified Racing Series will take to the track this Friday, May 18 with qualifying beginning at 6:30pm. 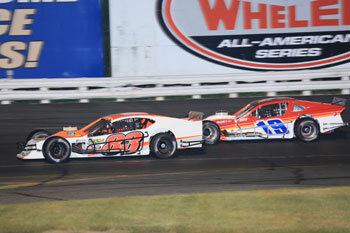 Stafford’s five NASCAR Whelen All-American Series divisions will also be in action. Tickets for this event are priced at $30.00 for adult general admission tickets, $5.00 for children ages 6-14, and children ages 5 and under are admitted free of charge when accompanied by an adult. Reserved seat tickets are $32.00 for all ages. All ticket prices include 10% CT Admission Tax. Stafford Motor Speedway offers plenty of free parking along with overnight parking available for self contained Recreational Vehicles. For the 28th consecutive season, the month of May is Youth Organization Month at Stafford. All children 14 & under are admitted FREE when wearing a youth organization team shirt or uniform. Children must be accompanied by a paying adult.